Towns and Cities - Domaine de France Gîtes, Chambre d'hôtes - Holiday rentals. Penne d'Agenais, Lot et Garonne, Aquitaine. 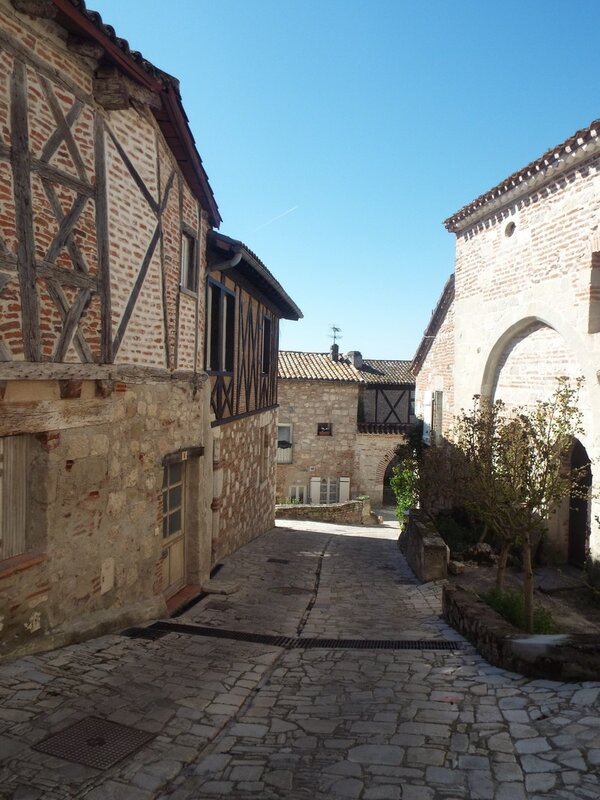 If you want to do more than chill by the pool or walk the picturesque streets of Penne D'Agenais you can take a day trip to some beautiful and picturesque towns all within easy access. The central square in Monflanquin, the Place des Arcades, has beautifully preserved arcades around the edges and many other impressive buildings. The square is also home to the weekly market each Thursday, as it has been since 1256! Wander through the stone entrance gate through the defensive walls of Frespech and straight away you will see the main attraction in the small village - a lovely eleventh century church with a square bell-tower and a smaller round chevet, which is generally considered to be one of the most impressive examples of roman style religious monuments in the region. ​Frespech Musee du Foie Gras Set on an actual farm, this museum has been well thought-out and displays the history as well as the actual method of making foie gras (in French) - followed by a tasting. Even if you think you're against the process, it is well worth a visit as it explains the whole history of the industry. NOT for all. The style is a bit rustic and the caves are not huge - it takes 45 mins to tour, which might be all in French. There are some beautiful and impressive formations. Domme is perched on a breathtakingly high cliff that allows it to enjoy an exceptional view of the Dordogne valley and the neighbouring beautiful villages of La Roque-Gageac and Beynac-et-Cazenac. ​This creamy-stoned "bastide" or fortified village boasts a successful combination of architectural, natural and gastronomic heritage typical of Périgord Noir. This is a beautiful place to visit, with various options. We parked at the top in the trees and walked down through the Stations of the Cross. You can take an elevator. It is a dramatic place it doesn't matter if you are religious or not, you could not fail to be impressed by this stunning city. The Sanctuaries, chapels and basilica are very interesting and are a place of pilgrimage. The restaurants are wonderful, with amazing food. ​We enjoyed a meal at Beau site Jehan de Valon which you would need to book. The medieval town of Saint-Cirq Lapopie, with thirteen listed historic buildings, is one of the most beautiful villages in France. ​Although Pujols is a small village, little more than one street, a parallel alley, and two churches, it is extremely picturesque. The medieval houses crowd in on the street. ​ In the summer it can get busy and maybe best to go in the morning. ​​Bergerac is found on the northern bank of the Dordogne River. 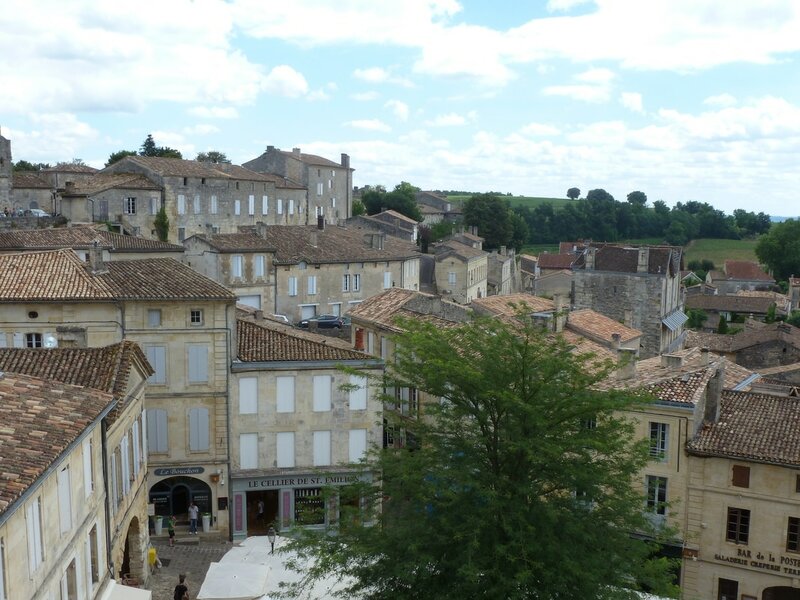 The highlight of a trip to Bergerac is the old town This part of the town has some lovely streets and squares to explore. Cahors is a town on the Lot river in the Occitanie region of southern France. It’s known for its deep red wine, elaborate municipal gardens and the Pont Valentré, a medieval bridge with 3 towers. Imposing Cathédrale St-Étienne (Cahors Cathedral) was built in Gothic and Romanesque styles, with large domes and centuries-old frescoes. Not to be missed are the towns made famous by their wine production. and the many vinyards around them. Wine tasting can be booked at many of the vineyards. ​With the Wineries & Vineyards the Church and restaurants this could be worth a visit. This is a wonderful city with many attractions. This port city on the Garonne River in southwestern France. It’s known for its Gothic Cathédrale Saint-André, 18th- to 19th-century mansions and notable art museums such as the Musée des Beaux-Arts de Bordeaux. ​A Substantial medieval town on the River Célé. It is a lovely town that you must visit when you are in the region! It is the overall feel of Figeac that you will find most attractive, rather than any one particular highlight.